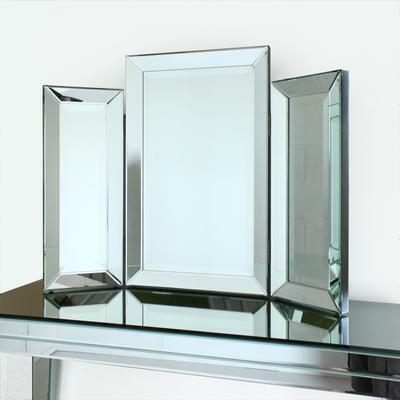 This Venetian Three Fold Modern Mirror is made for modern interiors and homes. 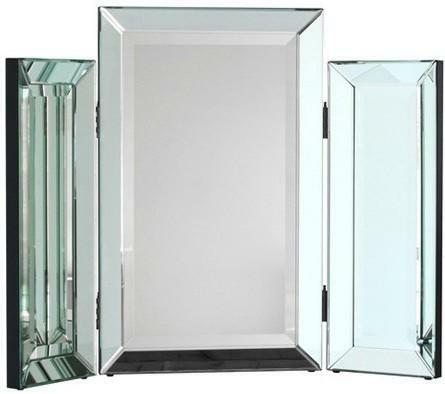 The mirror is gorgeously handmade using MDF and clear mirrored glass. This combination has been used for a long especially since MDF works really well with mirrored furniture. The mirror itself is crafted with three panels. There's a bigger mirror at the middle while two similar sized ones stay at the sides. 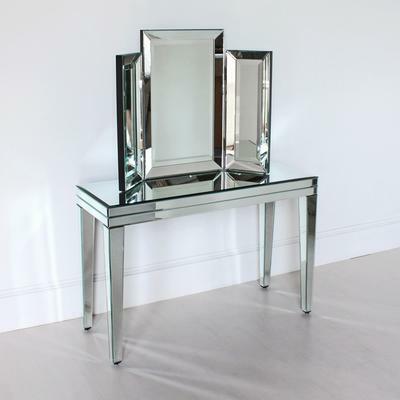 A bevelled touch on the insides of the mirror add a sophisticated touch to the pieces. You can easily prop this up on your dresser table and use it for putting on makeup or fixing your hair. You can essentially view yourself from different angles so it's quite helpful.